This is four seasons floral plate is a folk’s version of the famille rose decoration. The normal examples of famille rose you see in museum and exhibitions are very delicate and refine works of art, they can be seen as an extension of Chinese painting, the decoration of this plate uses the same technique of glazing but with a bolder pattern, it is an everyday plate for the commoners. 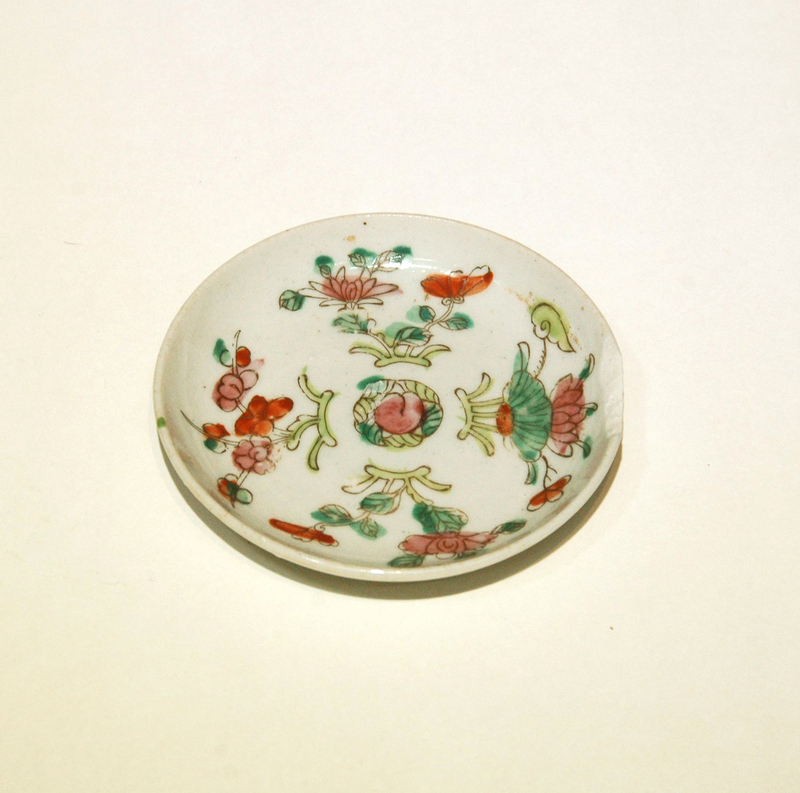 Famille rose was invented and became popular in the Qing dynasty, basing on the technique acquired from famille verte and the colour material of the color enamel from the West, a decoration of a softer and different shades is achieved. The work is made from white clay, on the biscuit a colour outline is painted, then glass whiteness (a white colour use for enamel work) is applied within the outline. Colours are then painted over the glass whiteness glazing, giving a softer colour than the famille verte decoration.